Mobile World Congress is now a must-do in the industry calendar. Havas Media's UK CEO shares tips for what to think about when you go. Every year Mobile World Congress veterans share their stories about the tech-led global gathering being the biggest yet, about getting lost in the vast halls of exhibitions and seminars, and the invasion of adland. Blink too quickly and you could be at Dmexco or any other "large halled" gathering of advertising and technology’s finest. 2017 looks to be no different. With 2016 surpassing the 100,000 attendees mark, there isn't a tech company, media business or vested, at least interested, client who won’t be descending on Barcelona next week for the warm-up event to Cannes. MWC reaffirms that mobile is now the past, present and future. It covers every part of our communications world, is globally ubiquitous and is innate in everything that we do for our clients. Mobile is the first thought with the majority of our partners, the digital natives and anyone reinventing their business model. Somehow I believe that the idea of a head of mobile will be looked at in 12 to 18 months’ time in the same way that a head of digital is today—a dying breed of a once specialist alchemy that became mainstream and thus just a given. So, with that in mind MWC becomes a must-do in the ad exec’s calendar. Yes, it’s a tad crowded and a touch corporate for us jean-wearing, suit-jacketed media types, but it’s the epicenter of a medium that is now the medium and something to fall behind on at your peril. What's now, as opposed to what's next? As an industry we look for shiny and new far too often without having fully exploited the now and today. Companies offering solutions that differentiate more than their competitive set are hard to find and at times harder to believe. MWC gives you the opportunity to think about what is standing out and often it’s the smaller, more agile organisations that can offer something here and now that makes a difference. We know that many brands are struggling to be meaningful in a world where it’s harder to provide relevant utility to customers' brand experiences. Being able to sit brands within well-established mobile products such as Messenger are a fantastic way to make a brand more meaningful and enrich the experience. With developers being as relevant as media planners to an agency’s squad we are able to build experiences faster and quicker. It’s not the products you see at MWC that are the interesting focus, it's the smart application of a brand to live that product and build on-top utility. Less ads, more relevance please. My personal heritage in paid search leads me to think constantly about disruption in this space. My poor Alexa has been bombarded since Christmas with questions that lead her to make choices for me about the brands I buy. The implications are wide reaching, particularly when consumers are waning in their passion for brands. What’s next for Siri, Alexa, Google? Speech will change the search dynamic as thumbs get fatter and voice activation becomes more commonplace and intelligent. Brands in low-interest categories should be thinking very carefully about getting ahead of the game in this space and now is the time to be testing. Knowing exactly where someone is changes the game in communications but still there are too few examples of this being done well and at scale. Getting to the infrastructure that houses this data directly is the key and MWC has infrastructure providers in spades from the mobile overlords. Think about the data inputs and less about the outputs. The fact that mobile is in the MWC name has become somewhat misleading as the event has bulged through success. Yes, the telco and handset operators save their latest offerings (CES forgiving) to launch to their business customers and partners, but the sheer range of #MWC2017 is enormous. There will be debates, pitches and coffee breaks galore where the future of chat bots, artificial intelligence, blockchain disruption, autonomous vehicles, 5G and mobile broadcasters are all dissected – and that’s just day one’s agenda. But these are all just things. They don’t provide the emotional connection that a brand needs with consumers in a mobile-first economy. It’s our job to make sense of it all, connect it up and build from the inside out—that’s where the new alchemy is being born. That’s what should make us all smile. 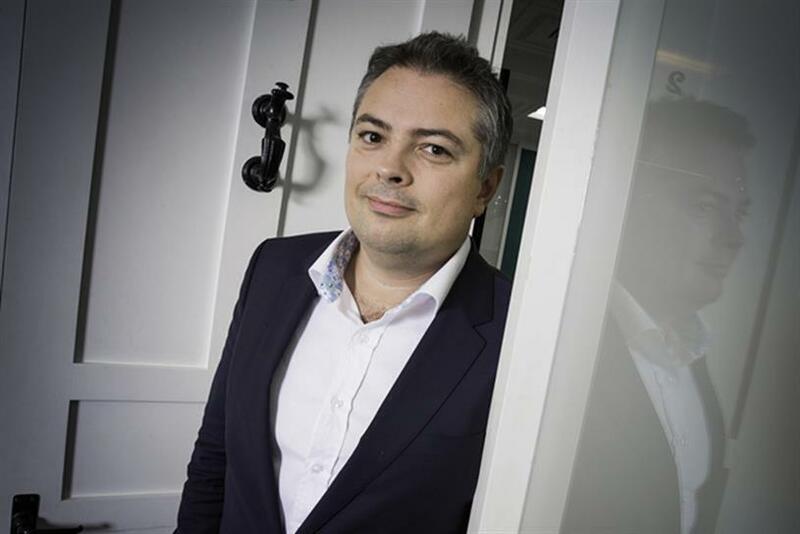 —Matt Adams is the UK chief executive of Havas Media.